Why Do Dogs Investigate the Eliminations of Other Dogs? A dog lifts its leg or squats, and other dogs rush over to investigate. Why? The traditional interpretation is that dogs investigate other dogs’ eliminations because they are assaying status and relative ranks. But the real reason has to do with the nature of emotion and animal consciousness. Because animal consciousness is composed of a two brain makeup with each brain compelled by its own separate and divergent agenda (the Big-Brain is consumed with balance and output, whereas the Little-Brain is consumed with arousal and input), the front-end-isn’t-connected-to-the-hind-end, and this means that animal consciousness is characterized by a constant state of tension. Subsequently, that which connects the front-end-to-the-hind-end generates a sense of release in the body/mind and this is what we experience as emotion. Nature is not random. The animal mind perceives the natural realm as being divided into things that either conducts emotion (preyful essences) versus things that resist the movement of emotion (predatory aspects). But this doesn’t mean that things are fixed and predetermined. Rather, this is infinitely scalable and malleable due to what I call the “supermarket theory of consciousness”. For example, every item on a grocery shelf (excluding cleaning products, etc.) is a nutrient, and yet some of the items are only nutritious when in combination with certain other items and then only in a proper proportion and after a specific process. So eating a can of baking soda is wholly noxious if not lethal (as for that matter is ten pieces of chocolate cake), but a pinch of baking soda in a slice of chocolate cake is delicious and (fortunately) nutritious. Furthermore, some shoppers only consider a limited range of items in the market conductive: anything that requires too much preparation is “too much fuss” (too high a resistance value) and so they walk past such items without feeling any arousal of their hunger circuitry. Whereas accomplished chefs find potential in a far greater range of items and they find themselves aroused on every aisle and even in regards to certain foodstuffs others find disgusting. So the interplay between nature and the animal mind is dynamic, not static, and can render an infinite variability in perception and behavior. That which in one context might not be conductive: one wolf relative to one moose, might become conductive in another context: ten wolves relative to a weakened moose. As mentioned above, pure conductive aspects are “preyful essences” (readily ingested and easily digested) and are universal features of every animal’s perception no matter the species, just as an open logic gate that conducts the flow of electrons is universal to all computers no matter the make or model. And whatever a dog smells is a pure preyful essence, which turns out to be anything that is of the earth (freshly disturbed dirt, fresh snow or dew) or is of a physical body (scents, urine, blood, feces, flesh, musk, carrion). These emotional conductors, “ground” the Big-Brain into the Little-Brain and completes all internal physiological and neurological circuitry so that the animal feels just as if there is a “current” of energy connecting its front-end-to-its-hind-end and thereby draining its emotional battery to a neutral rather than a “charged” (tense) state. Since emotion is a release from the tension created by organs in dynamic conflict with each other (as Joseph Campbell once explained in an interview), therefore any byproduct of the physical body (urine, blood, musk scent, hormones, feces, saliva, flesh, etc.) constitutes a resolution of that internal conflict, given that these are the physical precipitates of how energies have successfully moved within the body. Any product of organ function is a statement of an internal resolution and so their chemical constitution means they will be perceived as emotional “grounds” by animals. (Interestingly, Chinese medicine considers each organ as a site of emotional experience more so than it is performing a specific function. For example, the liver is the site for anger more than it is an organ that filters blood.) So it is incorrect to think of a waste product of the body as a nonessential commodity that the body is just getting rid of, rather it is the substrate of network communication in animal consciousness just as the deposits of pheromones are how ants find and follow the trails of other ants. 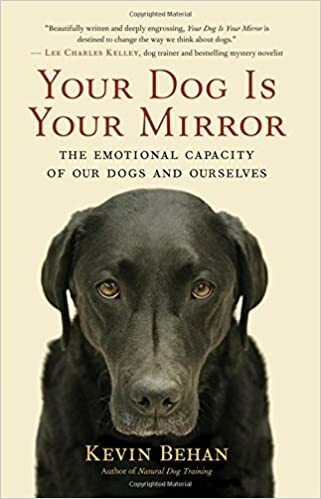 The physical body as the source of emotional conductors that release body tension is why dogs rush over to investigate each other’s eliminations; akin to motorists on the L.I.E. rushing from their cars to grab $20 bills flying out of the back of an armored truck, even at risk of their survival – it is free energy, an emotional conductor, the universal motive to animal consciousness. This is also why dogs like to eat and roll in you-know-what. They aren’t trying to mask their scent; rather they are feeling a release and returning to a state of wholeness. The signature of this can be found all the way up the phylogenetic tree in human beings as in the propensity of children, (and unfortunately to my taste, some adults) to be grossly entertained by scatological humor. However, this is also why on a more rarified plane people crave the smell of those they love. We ingest the essences of a loved one because it satisfies the most primal circuit of consciousness. Emotional grounding reduces the sense of internal tension that is the substrate of animal consciousness. Yes, this is a critical observation. The prey dilates the predator, i.e. the pipe opens wide, the body mind becomes a VOID craving to be filled. However being open is synonymous with a feeling of vulnerability. 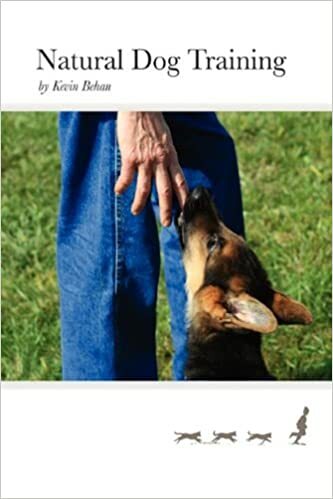 Anything of the body is a preyful aspect, which is why when dogs smell each other’s stuff, they become open to each other, and become vulnerable (thus invoking the puppy mind) as well and due to this being social is almost a foregone conclusion. But this also means that it can likewise be the source of A-VOID-ance. So when the cat smells its poop, because biochemically it reflects it “self” back to itself, then it wants to bury it as a means of avoiding it. (This would also equip an animal with a desire to cache food, and to bring back prey for the young to play with, these are the same responses to social pressure and are of course adaptive in their own ways.) The dog is less stressed by his own excrement in that it mirrors its self back to itself, but rather tends to relive the social pressure of the mother knocking it about and so it scratches around the ground, or rubs up against bushes, reliving the memories of its mother knocking it over and becoming sexually aroused by same. Note that the dogs that are the most socially wired and volatile, really tear up the ground, they’re reliving that stress which they are chronically carrying around into every social relationship in adult life. This is also why dogs unlike cats rush over to the eliminations of other dogs when they see them arch their back. The cat uses its paws more just as you note, it’s oral urge is readily deflected to the front paws in response to resistance. The dog in its prey-making repertoire fights more with its front end, i.e. its forequarters are a fulcrum around which it focuses its entire might in order to overcome an object of resistance. We just need to look at a picture of a dog “playing” tug to see this phenomenon and how different dogs are from cats. I’ve never thought about it like this but what a great way to articulate this interaction. I don’t think I have seen you put it this way before Kevin but it really resonates with me! Thanks.